As our principal orthodontist, Lars combines a wealth of experience with a resolute commitment to enhancing his patients’ lives through first class orthodontics. Lars qualified from the Royal Dental College in Copenhagen in 1990. Three years later he was awarded a PhD from the University of Copenhagen. He received his Master’s in Orthodontics from Guy’s and St Thomas in London, and in 1997 he was awarded Membership of the Royal College of Surgeons in Orthodontics. 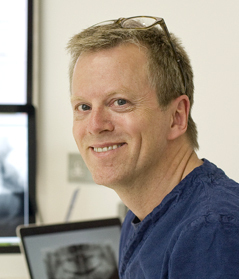 Since 1997 Lars has been in specialist orthodontic practice. A highly respected member of his profession, he lectures extensively all over the world. To date he has given more than 250 lectures and courses in orthodontics. Lars is a member of the British, the European and the American Associations of Orthodontics, as well as a member of the Southern Californian branch of the Edward H Angle Society. He is also a member of the British Lingual Orthodontic Society, and a Fellow of the World Federation of Orthodontists.